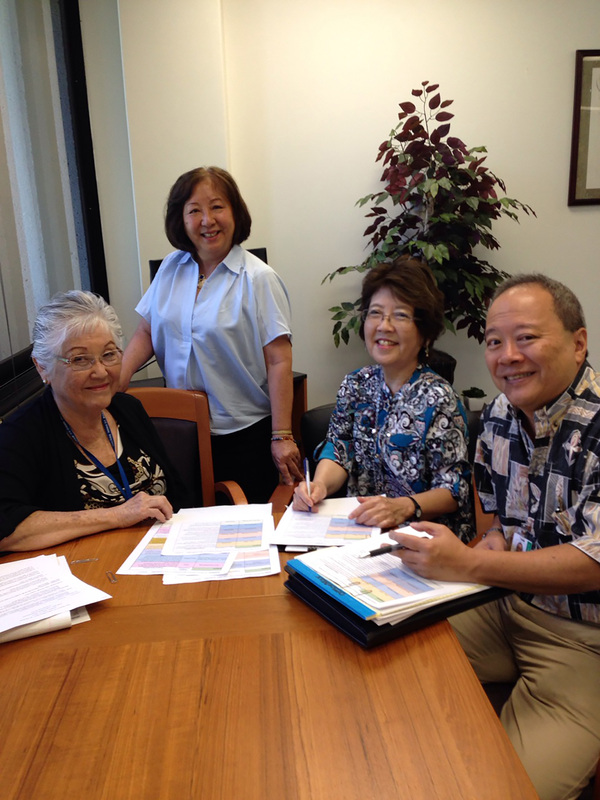 WORKFORCE TEAM: DLIR director Linda Chu Takayama (standing) with Elaine Young, Carol Kanayama and Jay Ishibashi. The good news is Hawai‘i’s job market has never been better for someone looking for work. That’s according to the state Department of Labor and Industrial Relations. “We’re projecting growth in nearly all major industries, including construction, hospitality, education and health services, trade, transportation and utilities,” said DLIR director Linda Chu Takayama. “We look at every job segment along the pipeline,” explained Takayama. “We want to match industry demand with the different skills and training needed. We also can’t define success just based on college entry since the goal is gainful employment. That could mean trade apprenticeships, shorter programs, and on-the-job training, too.” Part of DLIR’s kuleana is to work directly with industry leaders to develop relevant job training. They’re partnering with the Chamber of Commerce, the UH community colleges and other providers for skills upgrades in banking, information technology, food manufacturing, health care and agriculture. The neighbor islands are collaborating on their own industry sectors in healthcare, food and agriculture. DLIR has a number of useful online resources such as HireNet Hawaii (http://www.hirenethawaii.com), a one-stop online site for jobseekers and employers. They also have a list of One-Stop Centers across the state to help anyone looking work or wanting to make a career change. Go to labor.hawaii.gov/wdd/for details.